Space-saving stylish decor at a great price. Declutter your bedroom all while transforming your space into a bright timber haven with this spacious statement piece. 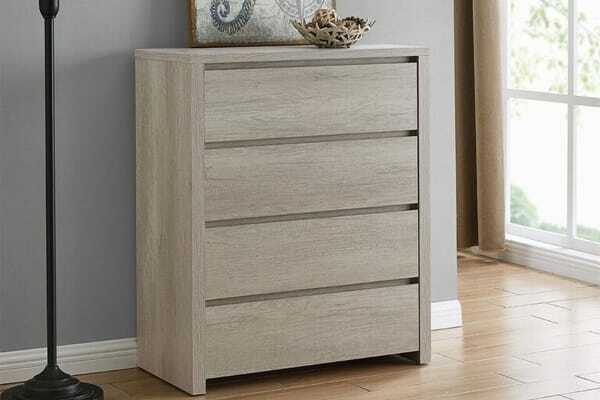 With generous storage space and a sleek timber-look and textured grain finish, the Shangri-La Chest of 4 Drawers – Alta Collection blends space-saving features with timeless bright decor. 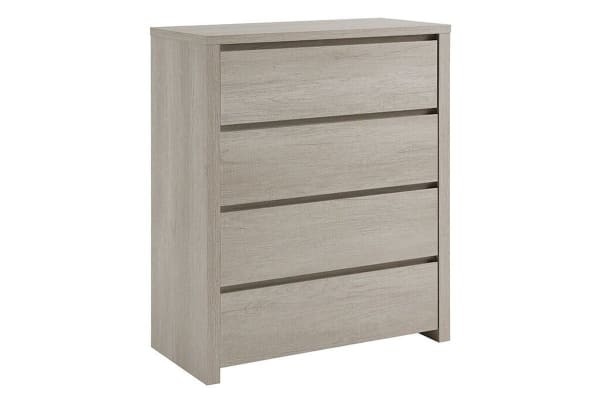 Each drawer is built with ball bearing metal sliders easily accessed with a finger pull design, giving you effortless access to your clothes, accessories, books and shoes no matter how heavy or full your drawers are! Complete your home decor transformation by shopping the whole Shangri-La Alta Range here.